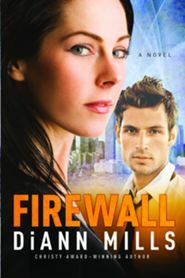 Firewall, by Diann Mills, is a thrilling suspense novel. It grasps the reader’s attention from the first page until the very last! It tells the tale of a young woman’s life turned upside down in a matter of seconds. Taryn Young, one of the country’s top software developers, thinks she is on the way to her honeymoon when a bomb destroys the airport. Awakening in the hospital, she finds that she and her missing husband are both prime suspects. But Agent Grayson Hall has a gut instinct that Taryn is innocent. As the investigation continues, revealing that her marriage was falsified, coworkers were involved in the plot, and close friends begin turning up dead, Taryn and Grayson work together to find her best friend’s missing child and solve the case. It seems, however, that many people want her out of the picture, and Grayson has a tough job keeping her safe. I loved this book. Its many twists and turns kept my attention to the end. While I suspected the culprit about halfway through, there was no way to be sure until the last few pages. I especially liked the idea that the main character believed in abstinence until marriage. If you enjoy reading Christian suspense novels, you will want to read this book!